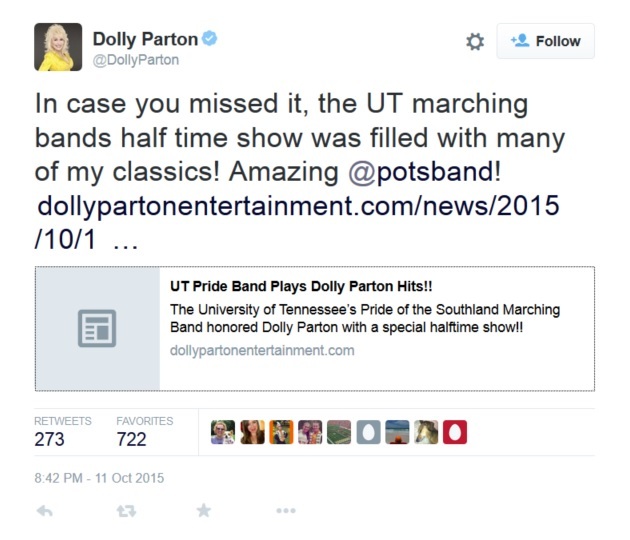 The University of Tennessee Pride of the Southland honored Dolly Parton this past Saturday with a halftime show of her big hits. Dolly herself watched the show and has featured the show on her own website and gave them a special shout out on twitter. Very cool!